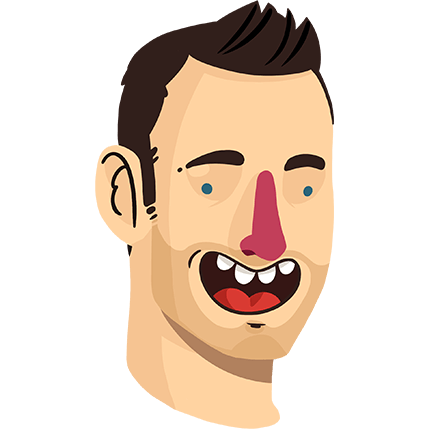 If you missed our previous interview, Josh pushed some real story buttons last time around. Maarten is a seasoned technology gourmand from Belgium. I’m a thirty-*censored*, happily married father of two gamer sons that has settled down and enjoys solving complex problems while normal people do social stuff and watch TV. My name is Maarten, which mostly French-speaking people consistently fail to write or pronounce properly, but that is OK. I make video games! No, I can’t draw or paint. No, I don’t come up with the ideas. No, I can’t make music either. I’m the one that actually makes the game! Oh, never mind, go play with your brother. I keep choosing over and over again. Sometimes it’s games, sometimes it’s something else, sometimes, like now, it’s both 🙂 I’d love to do games full time all the time, but me being settled in a small country doesn’t help, so freelancing is a good solution there. I have been a gamer since 14.4k modems were a thing, but it wasn’t until college I started tinkering with game programming. By hazard, a Belgian games company noticed one of my posts on a gamedev forum, and they wooshed me away from a life of stability. To honor one of my many nicknames – Master Boring – Nick found me through a reddit ad. A lot of them come by, but Move or Die met my incredibly high quality standards for a game so I agreed to work with Nick for slightly-less-than-minimum wage. A-ha, gotcha! I HAVE a real job, I’m a Senior .NET Developer! I would no doubt have succumbed to my dark side, and be a Criminal Mastermind by now. I would be rich, and possibly on the run for several authorities (but someplace nice, with great weather & cocktails). I would make a cockpit space fighter game where most of the action happens on, in and alongside rivers & canyons, spanning the entire universe (connected through wormholes – think Hyperion), with an epic story line that ultimately explains the meaning of life and the end of the universe (spoiler: they’re related!). It’s called ‘Momentum’. Patent pending. Steam says 1240 hours of Team Fortress 2, but I think I spent more on old school Counter Strike or Battlefield 1942 – that was before recorded history. 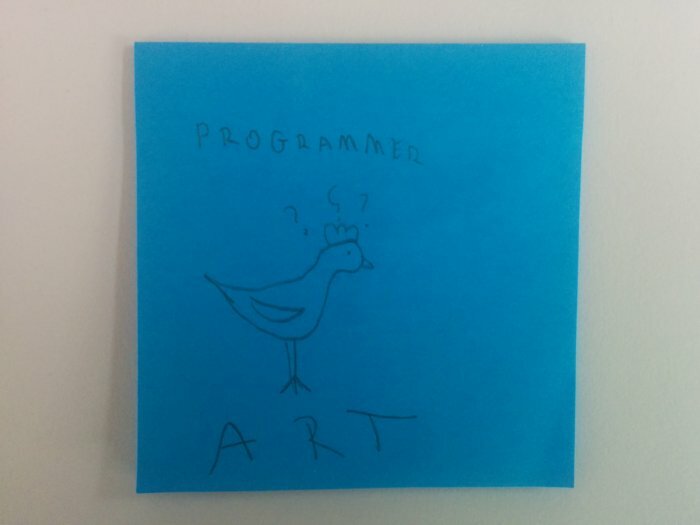 That’s some mighty fine programmer art. Thanks Maarten! Tune in next week for our first ever canine guest!